WorkCover NSW swiftly moved ahead a safety inspection program of tower cranes throughout the state following last year’s crane fire and collapse at a Sydney construction site. The inspections which were poised to begin later in 2013, have since been pushed ahead, WorkCover NSW said in a statement. Fortunately there was no one hurt in the incident and the crane crew was praised for saving the lives of building workers and the public. Responding to the incident, WorkCover NSW stated tower crane verification inspection program will start with the type involved in the Sydney collapse. The inspections will examine existing risk controls such as crane pre-assembly and pre-use inspection systems. A physical inspection of the cranes will also occur. 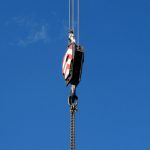 ‘The Sydney CBD crane collapse had never happened before and at the time of the incident was considered extremely unlikely,’ WorkCover General Manager John Watson said in a statement.